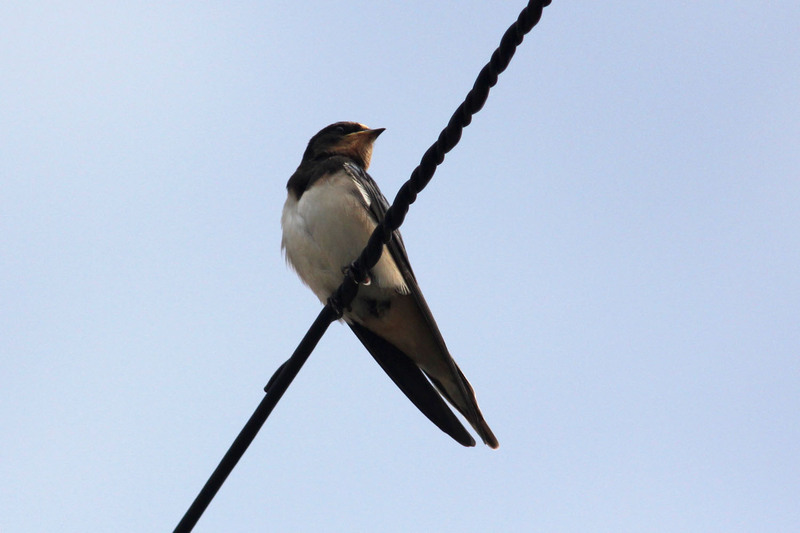 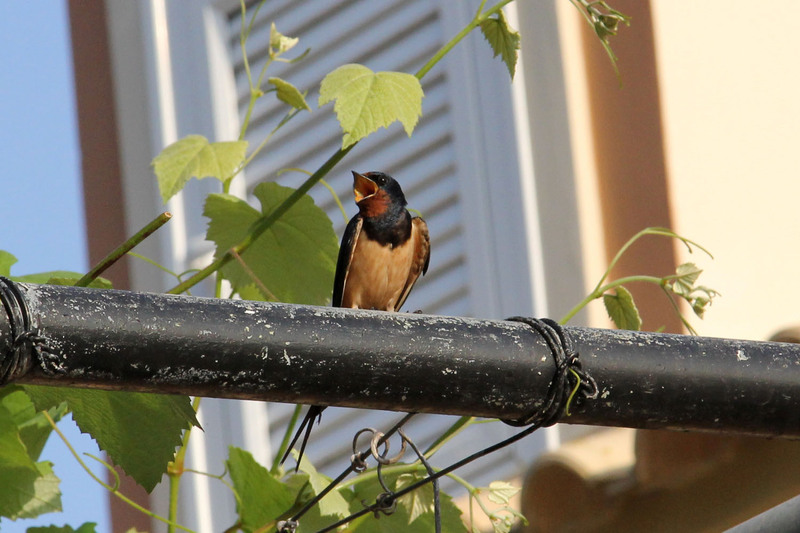 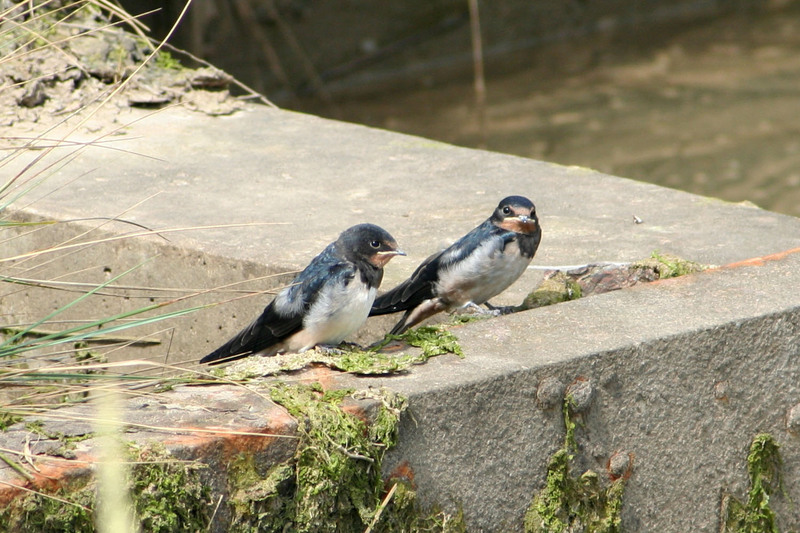 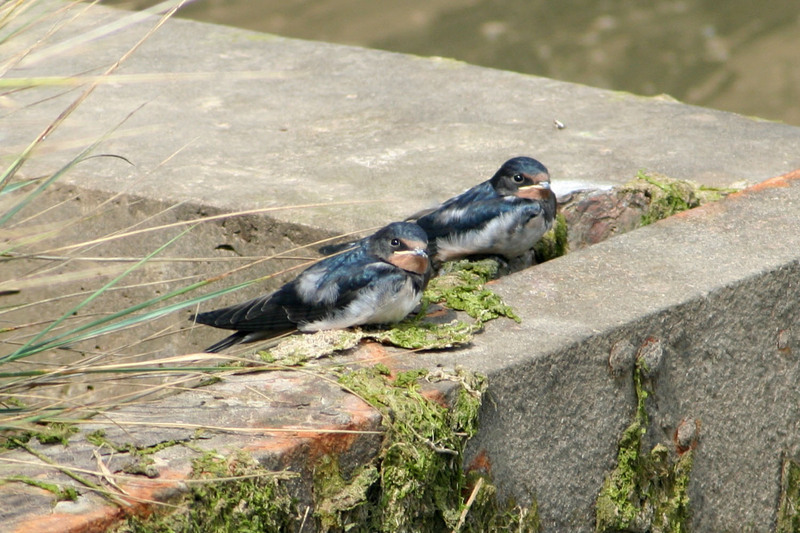 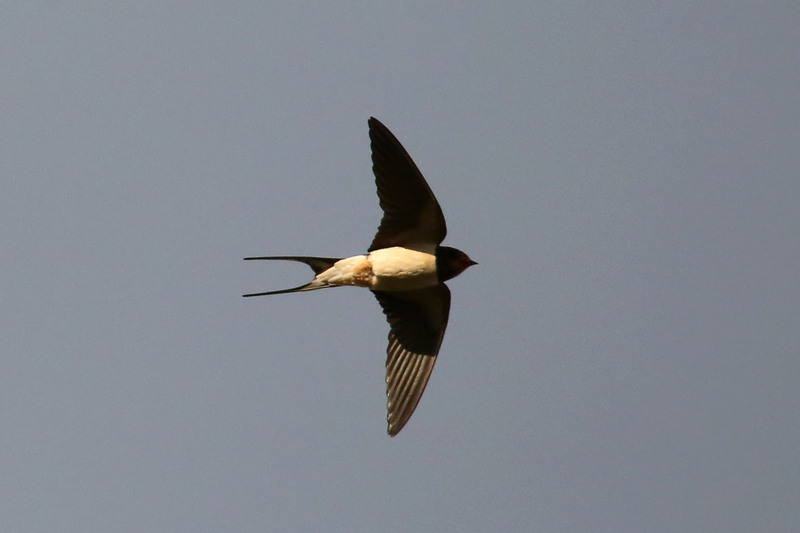 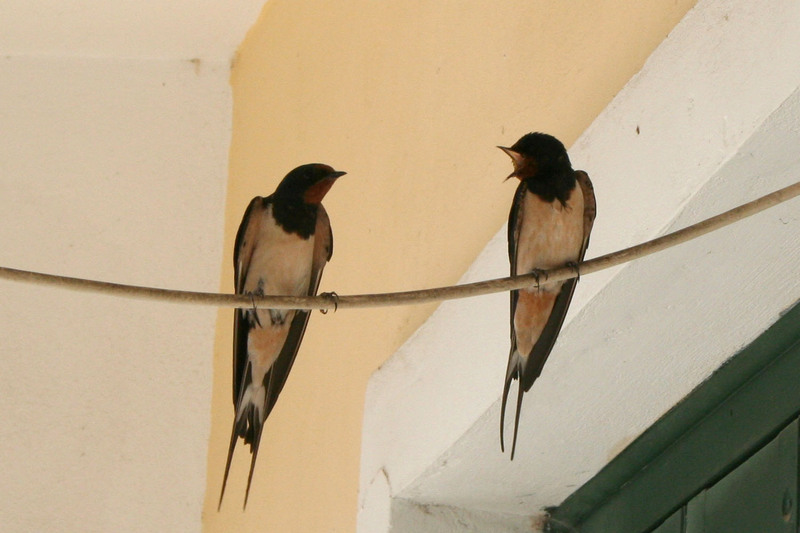 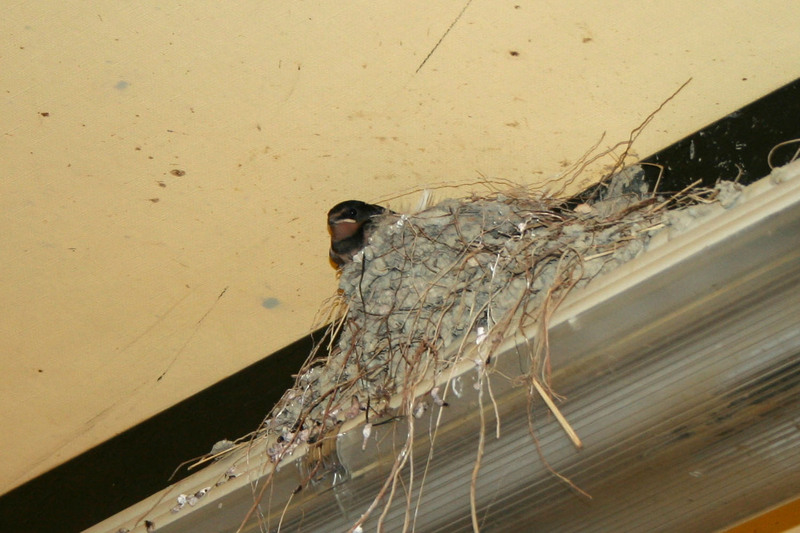 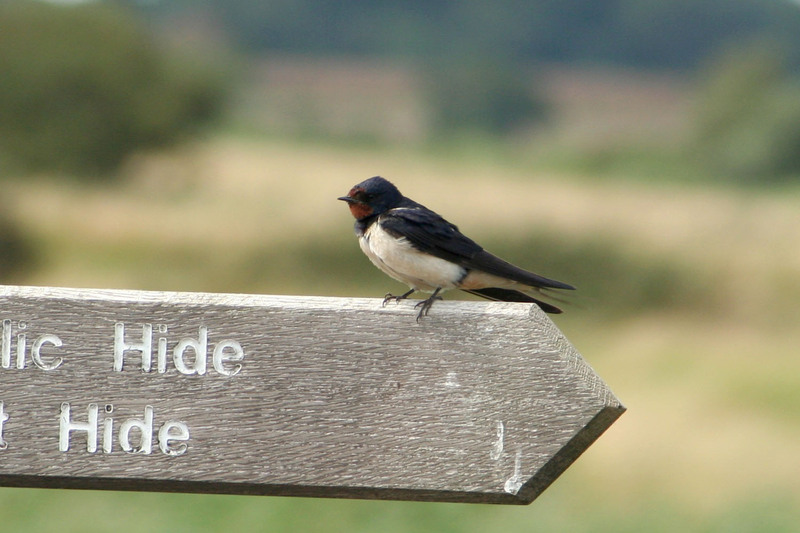 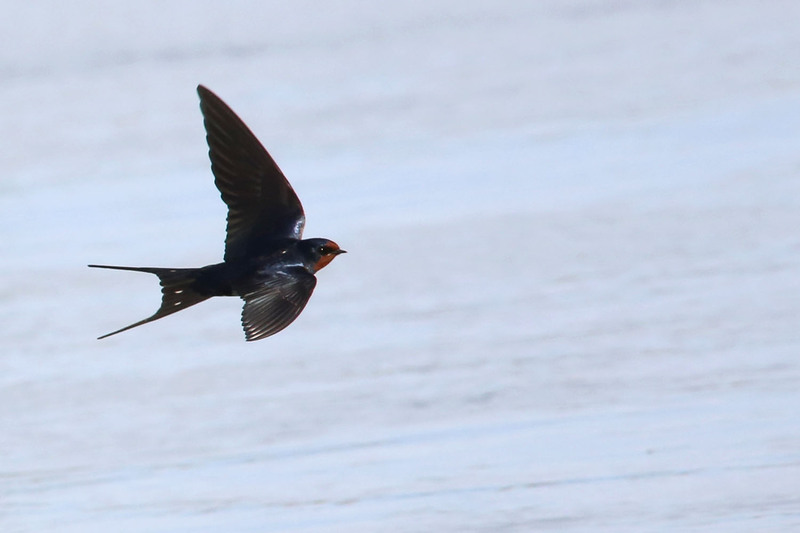 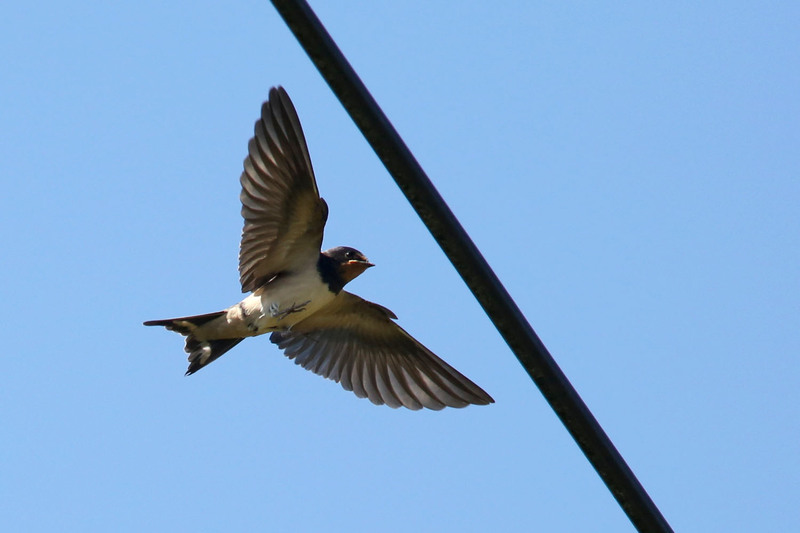 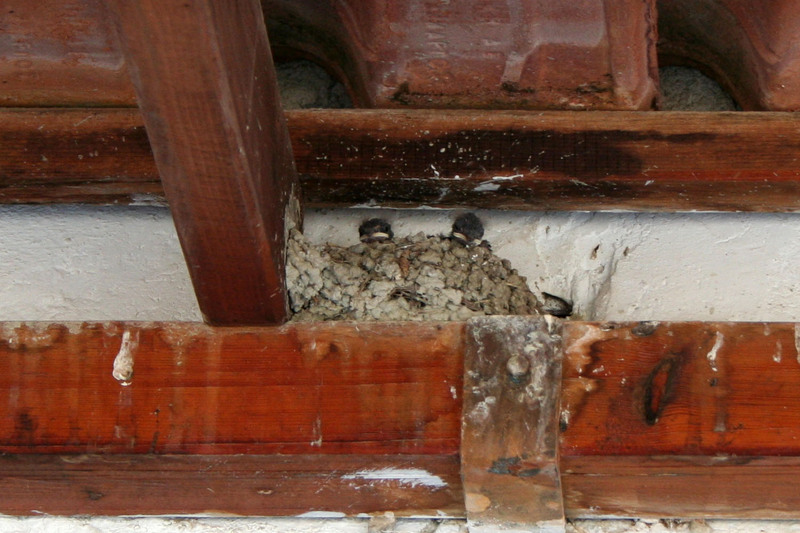 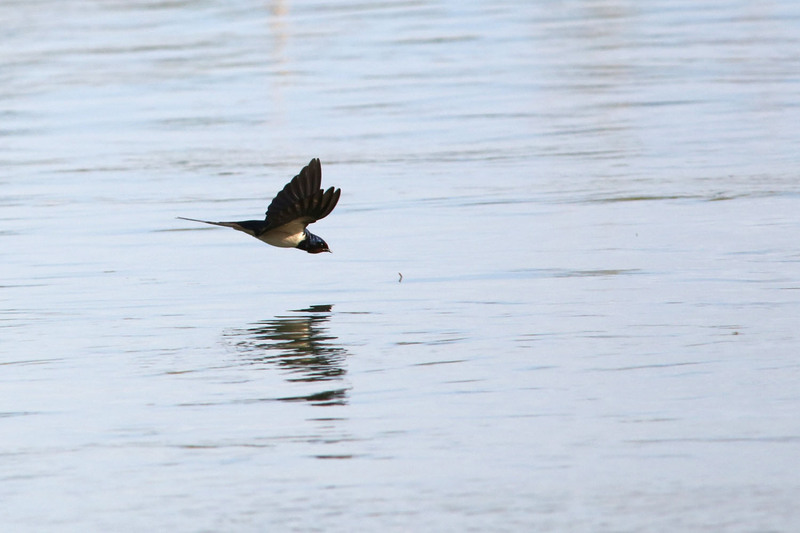 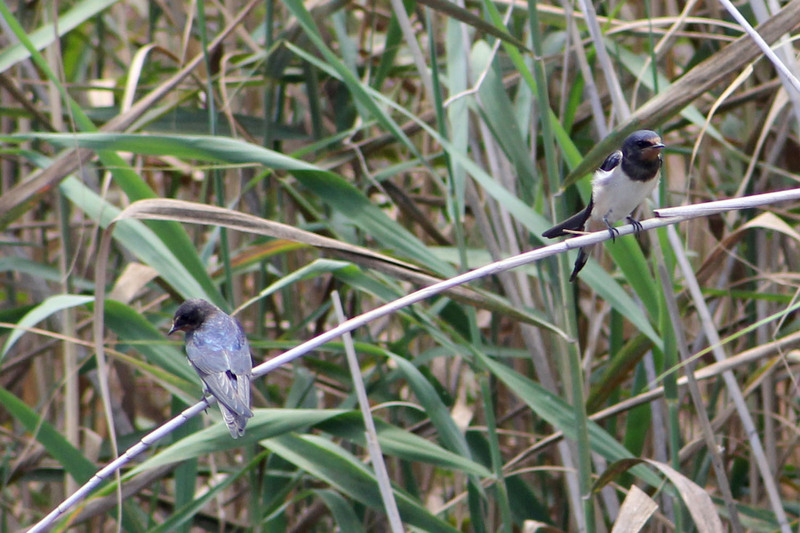 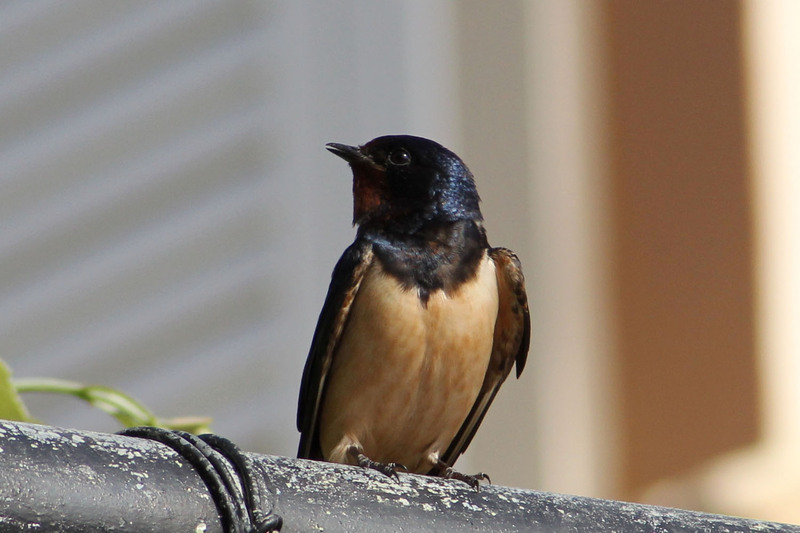 The Swallow is a Summer visitor to the UK, migrating from Africa. 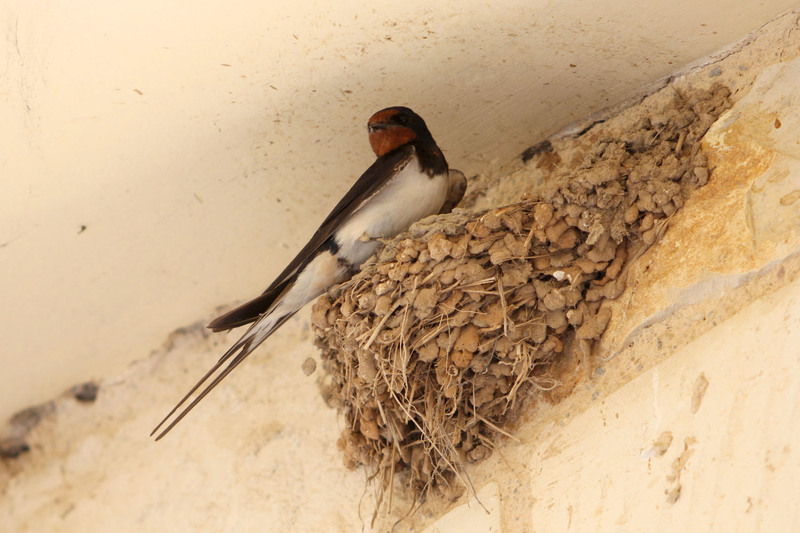 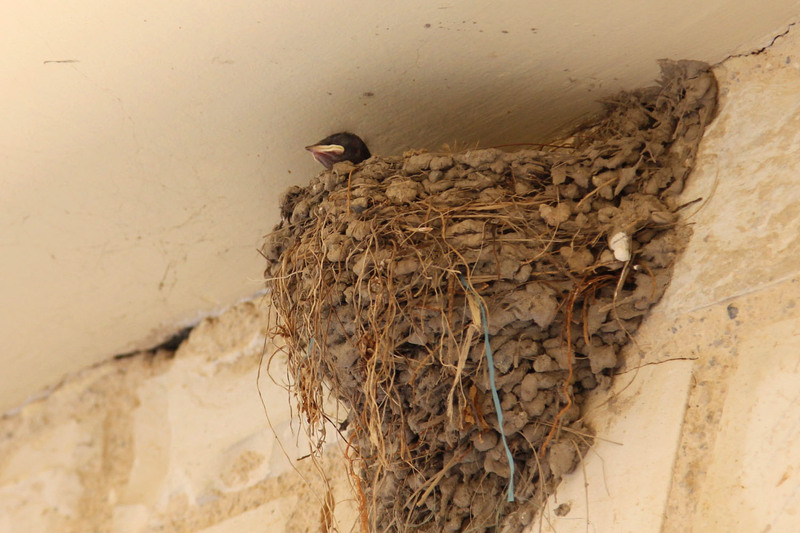 They feed on insects on open ground and so would not normally be seen in a garden unless they are nesting or feeding close by. 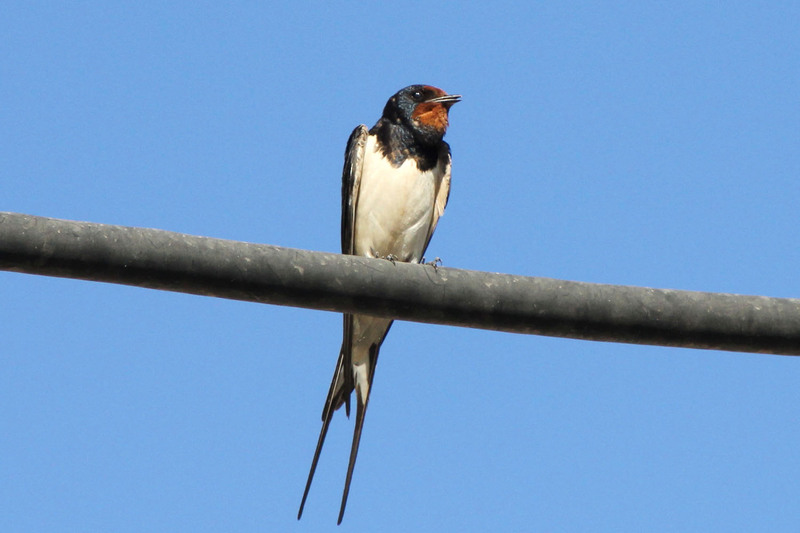 When seen flying they can be confused by the novice spotter with Swifts or House Martins but are most easily identified by their long forked tails.